You're like my personal brand of heroin.. Please join us on our forum RP site. We look forward to having you but please remember this is 18+ and quality posts are expected. Please remember to check your Junk Mail and add us to your safety list! 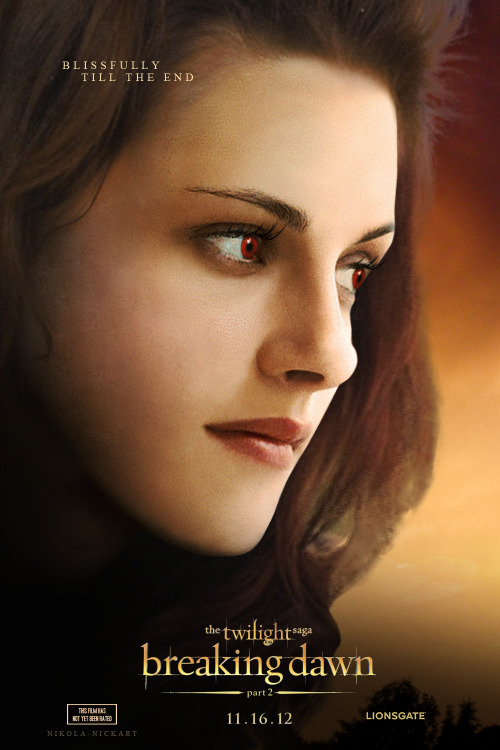 Bella Cullen was changed by Edward Cullen during the birth of their beautiful hybrid child, Renesmee. She moved to Forks, Washington as a human and fell in love with Edward. The two are now married and happily together forever. It is painful for her at times with watching Charlie and Renee age, knowing they will eventually be gone, but is always calmed by her daughter or husband. She loves the two, as well as her family, dearly.